DRN’s vehicle location data has helped lenders recover over $5 billion in assets. Combine vehicle location data with 24/7 pick-up with a Provider to recover up to 35% more vehicles. 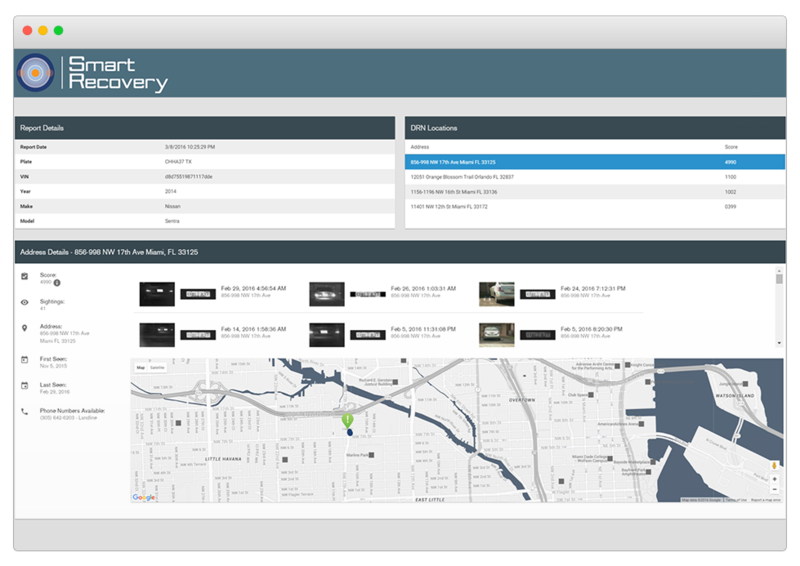 Use DRN’s Smart Recovery powered by over 6.5 billion vehicle sightings to locate vehicles earlier and reduce days to recovery by 50%. Faster recovery adds up fewer charge-offs. Staging your vehicles with one of our Providers gives you access to 24/7 live pick-up. Put your recoveries into our Provider network powered by thousands of LPR cameras, and let them do the work for you. Working with a DRN Provider (also known as a Forwarder) gives lenders access to 24/7 recoveries. Our Providers are fueled by DRN’s recovery network, putting thousands of LPR cameras to work for you every day. Because lenders like you put in more orders, our network grows by over 160 million sightings every month, adding up to more recoveries. 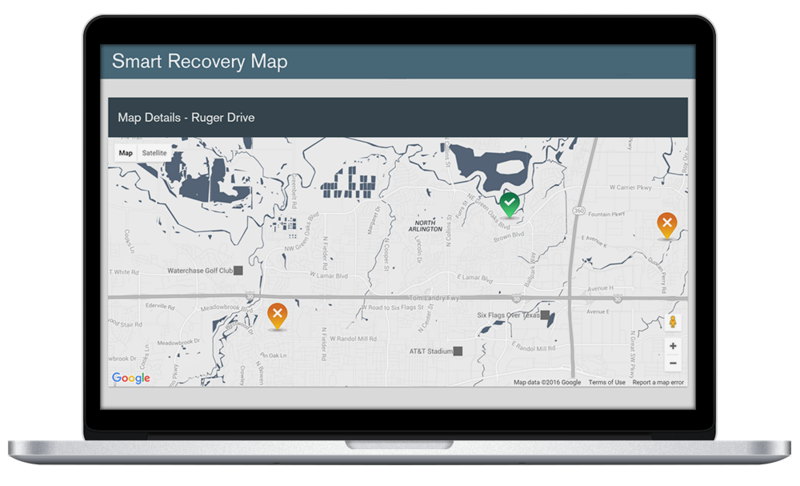 Interactive mapping of your assets puts you on the road to recovery faster. With a vast network of over 6.5 billion vehicle sightings, plus 160 million more gathered each month, chances are good that your assets are among our sightings. Get location alerts that notify you every time a vehicle on your recovery list has been sighted. 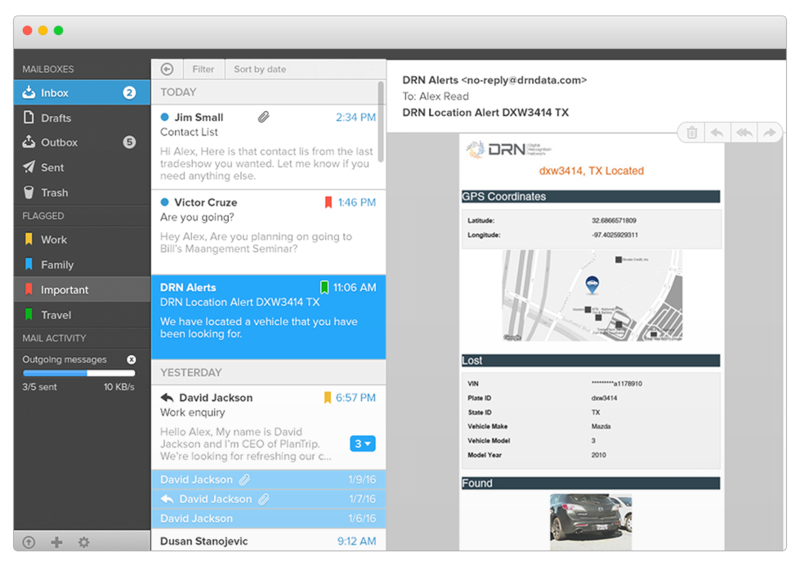 Easily manage your alerts to continue notifications or disable as needed.